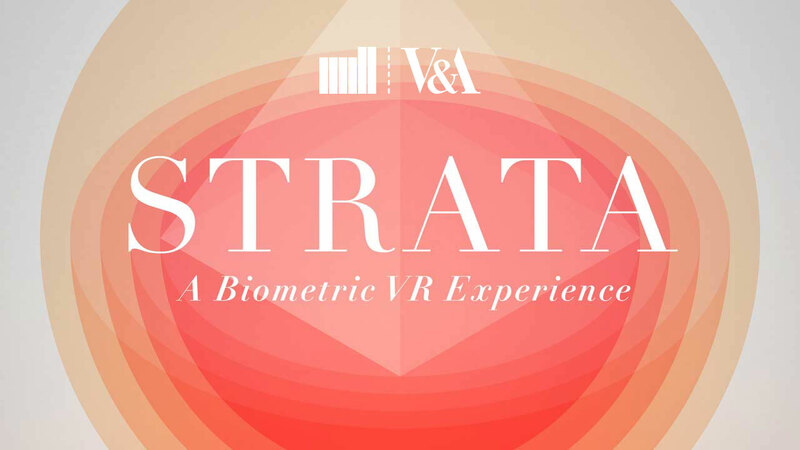 Tonight sees the UK launch of The Mill STRATA - the responsive VR experience driven by biometrics, at the November V&A Late exhibition. STRATA has been invited to be featured alongside other live performance, film, installation and musical pieces for an evening focused on VR / AR, titled Parallel World’s. It is the first event of its kind at the V&A dedicated to the design and culture of video games and provides a brand new critical platform to explore one of the most important design fields of our time. Created by The Mill’s Executive Creative Director Rama Allen and a team of creative technologists, out of the NY studio; STRATA generates data visualization by human emotion, tuning into a person’s heart rate, breathing, stress levels and brain waves to remix a game engine world around you. The visuals within STRATA respond and react to a person’s physiological and neurological data while also helping to create awareness of the user’s autonomic nervous system. This is the first showcase of STRATA in the UK and The Mill is thrilled to be featured at the event alongside other ground-breaking technologists in this field to discuss how the virtual worlds of video games reflect and augment our reality.